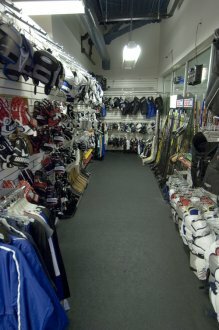 We carry the largest selection of figure skating and ice hockey equipment in the Portland Area including Bauer, CCM, Jofa, Itech, Mission, TPS, Easton, Vaughn, Sherwood, Heaton, Eagle, Brian’s, Tackla, Branches, Montreal, Nike, Tour, Nexed, Labeda, Hyper, Franklin, and Koho. Know-How – our staff is extensively trained to assist you in choosing the right equipment and making sure it fits properly. Custom Fitting – we have the tools and expertise to improve comfort and minimize break-in time. 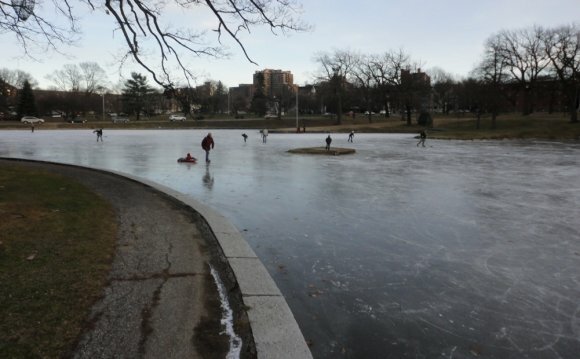 Whether it is re-riveting skates, replacing an eyelet, installing new straps on goalie leg pads, or resewing a seam that is separating, we have the tools and expertise to do it. If the problem requires the attention of the manufacturer, we will handle the legwork for you.